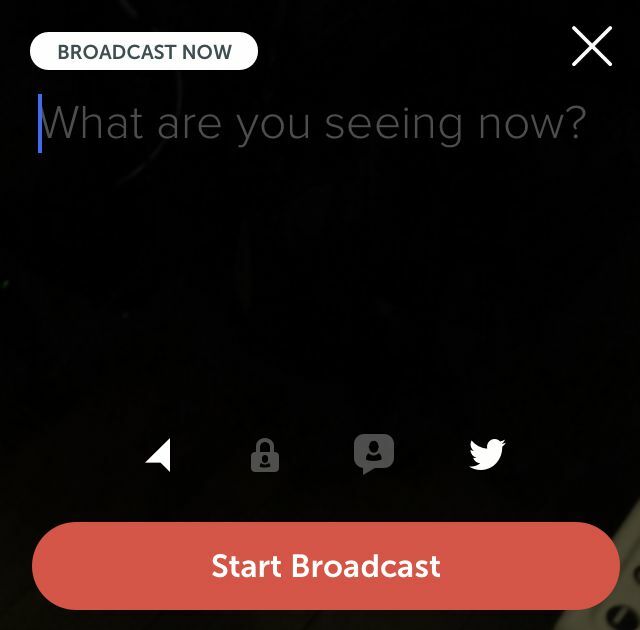 The world of live streaming has exploded since Periscope came on the scene in March of 2015, and now more than ever you or your business needs to add video to your repertoire. The great thing about Periscope is you don’t need expensive broadcasting equipment, just a phone and a topic! 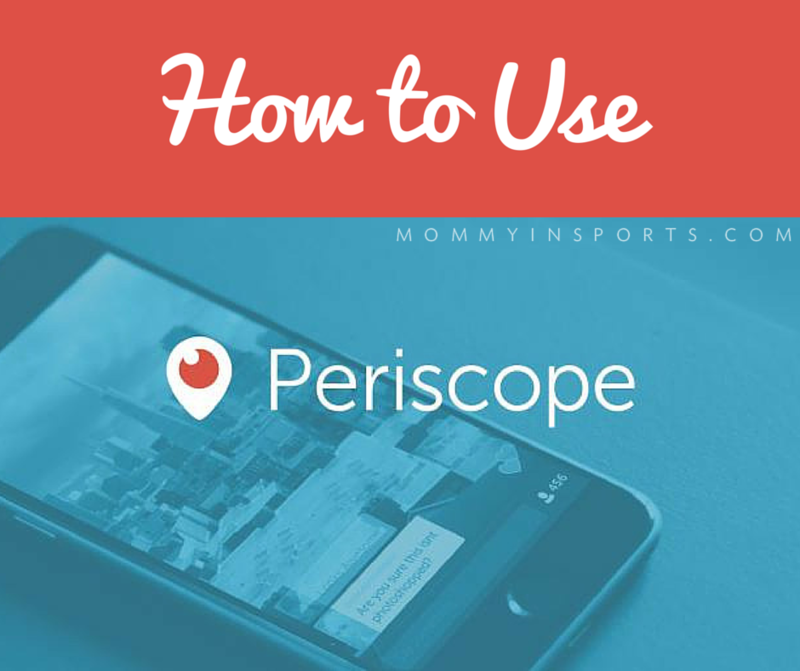 If you’re not sure why or what it is, you might want to start by reading my Newbie’s Guide to Periscope! So I thought I’d take it one step further today and explain just how to use the newest craze. So I did a scope about this very topic below. Feel free to watch it, or scroll below for some tips and tricks to doing your first Periscope! Most are intimidated to talk into the internet black hole but it’s really quite simple. If you’ve never done a Scope before, here are some of my tried and true tips and tricks that will help you start rocking Periscope, and get you a little more confident with being “on air”! Announce Yourself. Do this on social media in advance of your Scope and include when and where you will be broadcasting, and what it’s about. A lot of Scopers make a graphic for their Facebook following the day before, and then promote it on Twitter a few minutes before their broadcast. Twitter will send out a Tweet when you are live as well! Make sure this is enabled when you go live. (icons from left to right) Triangle means location. You can turn your location on or off. When you turn it on you will show up in the GLOBAL list more frequently. If you are at home with your kids, turn it off! Unless you want stalkers. Lock is privacy. You can host private broadcasts if you choose. Just click the lock and add who you want to invite. The Chat icon means you can limit broadcasting to only your followers. Twitter means you will automatically Tweet out that you are live. Always enable this! Save Yourself. 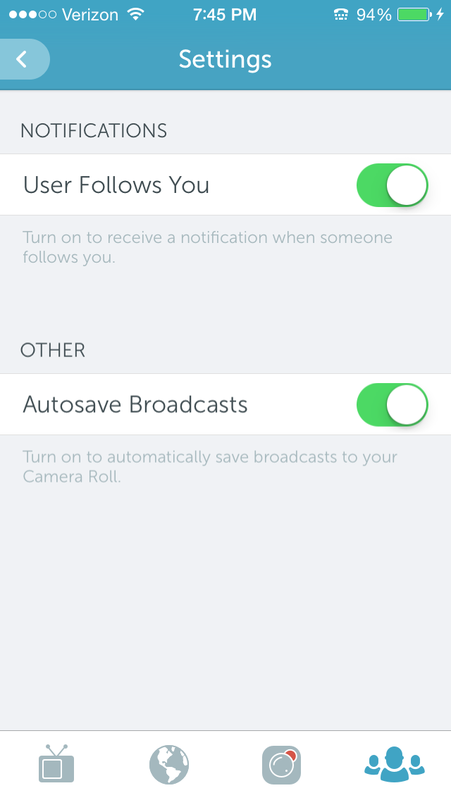 Set your broadcast to Autosave – it will save in your phone’s camera roll. You can transfer this to your computer and/or upload to YouTube from your phone, (like I did here…Hi! Follow me there?! ), or you can record on Katch.me. If you don’t do this your treasured recording will disappear into internet oblivion forever after 24 hours. Stop reading this and turn on Autosave now! Titles matter. Think of it as a juicy headline to entice your viewers. ALL CAPS titles are more eye catching in the Global List as are emoticons. I always use a mixture of Upper Lower Case, and UPPER CASE…oh and hashtags of course! Avoid Broadcast Mishaps. When you hit the orange Start Broadcast button: 1. Wait a beat before talking or your audio will be clipped. Like 3-5 seconds, and 2. your camera will be facing outward, not on you. DOUBLE TAP to use your forward facing selfie camera. Some people start by shooting an image, or their logo, and then turning around to them. You can also end your broadcast by showing a graphic of your website address, or social media links…food for thought! Do Resets. Keep in mind this is a live stream so viewers will come and go. Every few minutes do a reset and re-introduce yourself and what you are talking about. Be Engaging. But most importantly be yourself. Don’t try to respond to every comment, do block trolls, and be concise. Keep in mind that it’s hard to hold an audience, so show your personality and try to stay on topic! Download This! Want to save your Scopes for You Tube in a horizontal format? Download this…they’re free 1280 x 720 templates! And if you don’t have Photoshop you can edit in Pixlr, a free version. You’re welcome. There are so many great follows on Periscope that will teach you exactly what to do, I recommend watching a few to get the hang of it before you start. And as always, ask questions! I will try to get back to them as soon as I can…see you on Periscope!